Thomas caught his lone target for six yards in Sunday's 20-3 win over Jacksonville. 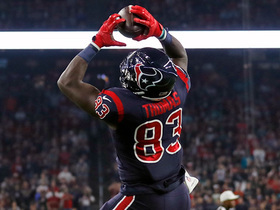 Analysis: This was the third straight week that Thomas was limited to one target, as Houston's tight ends have been an ignored bunch all season. He finished the regular season with four touchdowns to lead the position group, but Houston's passing attack focuses mainly on its wide receivers. Thomas was targeted once and did not have a catch in Sunday's 32-30 loss to the Eagles. Thomas caught one pass for two yards in Saturday's 29-22 win over the Jets. Analysis: One week after Houston's tight ends were heavily involved in the passing game, Thomas and the rest of the position group combined for just two targets Saturday. Unless DeAndre Hopkins' ankle injury turns into something more serious, none of the Texans' tight ends are worth considering Week 16 against the Eagles. 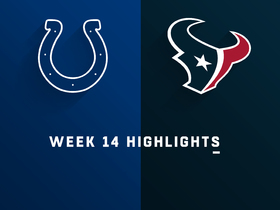 Thomas caught all four of his targets for 31 yards in Sunday's 24-21 loss to the Colts. Thomas caught all three of his targets for 32 yards, including an 11-yard touchdown, in Sunday's 29-13 win over Cleveland. 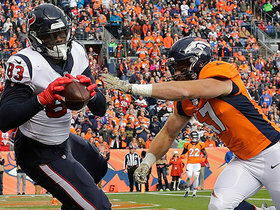 Analysis: Week 13 turned out to be Thomas' turn to lead the Texans' tight ends. He scored his fourth touchdown of the season, which also leads the position group -- neither Ryan Griffin nor Jordan Akins have a touchdown catch in 2018. Griffin gets the most playing time and targets, but quarterback Deshaun Watson will throw to any of them, which makes it difficult to pinpoint one as a fantasy starter in any given week. Thomas caught his lone target for a seven-yard touchdown in Sunday's 19-17 win over the Broncos. 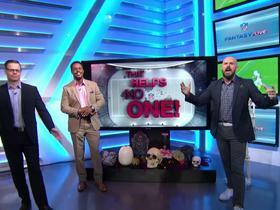 Analysis: Thomas found paydirt for the third time in two games. The rookie tight end is making the most of his 14 targets, catching nine of them for three touchdowns and 14.1 yards per catch. The Texans were thin at wideout for this game -- Will Fuller (knee) is done for the season and Keke Coutee (hamstring) was inactive -- and we saw the tight end position group targeted six times, 25 percent of Deshaun Watson's pass attempts, which is a lot for that unit. 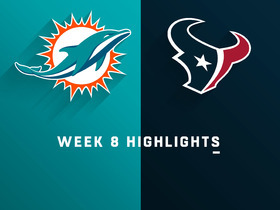 Thomas brought in all four of his targets for 29 yards and two touchdowns in the Texans' 42-23 win over the Dolphins on Thursday. Thomas and fellow tight end Jordan Akins will step in for starter Ryan Griffin (illness), who has been ruled out of Thursday's game against Miami, Aaron Wilson of the Houston Chronicle reports. Analysis: This same state existed in Week 7, and the Thomas/Akins duo had a combined one target. Thomas (55 snaps) got the bulk of playing time as he's considered the better blocker of the two, and we should see a repeat of last week's playing-time split. Miami's 29th-ranked run defense could be vulnerable to Lamar Miller and Alfred Blue all night long. Thomas did not catch his lone target in Sunday's 20-7 win over the Jaguars. Analysis: Both Thomas and Jordan Akins were in the starting lineup Sunday with Ryan Griffin (illness) inactive, but it didn't translate to improved production. 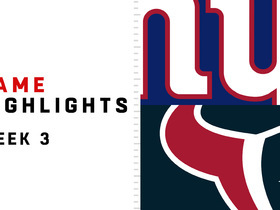 The duo combined for just the one target, as Houston relied heavily on its ground game. They figure to do so once again Week 8, Thursday night against the Dolphins. Miami has allowed nearly 137 rushing yards per game this season. 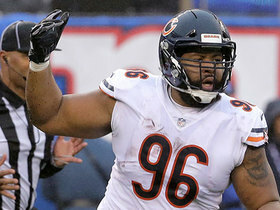 Thomas is expected to receive more playing time with Ryan Griffin (illness) ruled out of Sunday's game against the Jaguars, Aaron Wilson of the Houston Chronicle reports. Analysis: Both Thomas and Jordan Akins will get a bump in playing time, although that might not mean much against a Jacksonville defense that's tied with Baltimore as the league's top-ranked passing defense. The opponent, along with a banged-up quarterback, might lead Houston to rely on its running attack Week 7. Thomas has been targeted just eight times (four catches) through six games. 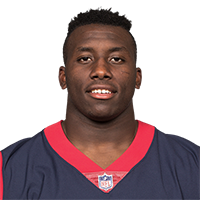 Coach Bill O'Brien said Thomas "probably needs to be in there more," during a session with reporters Monday. Analysis: Thomas caught two passes for 53 yards in Sunday's loss to the Giants and is averaging 26.7 yards per catch this season. "Yeah, big guy that can run. He used to be a wide receiver, got really good hands, getting better as a blocker, so we have to continue to work with him," said the coach. Thomas has played just 25 percent of the snaps on offense while sharing the position with Ryan Griffin and fellow rookie Jordan Akins. Thomas caught both of his targets for 53 yards in a Week 3 loss to the Giants. Thomas (hip) will play in Sunday's game versus the Giants. Analysis: The rookie sixth-round pick has been targeted five times over the first two games but hauled in just one pass for 27 yards. As the No. 3 tight end in Houston, Thomas isn't a worthy fantasy play. Thomas was listed on Friday's injury report as a limited participant and is questionable to play Week 3 against the Giants. Analysis: Thomas was in full health Wednesday and Thursday before landing as questionable to play Sunday. If he's unable to play or is limited, Ryan Griffin and Jordan Akins will get extra snaps. All three tight ends have been targeted in each of the first two weeks, but the position group as a whole has not been featured like the wideouts have been. Thomas was targeted three times, but didn't catch any of them in Sunday's 20-17 loss to the Titans in Week 2. 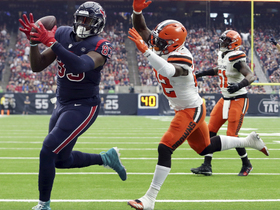 Analysis: The Texans are using all three of their tight ends, so Thomas has to share playing time with Ryan Griffin and Jordan Akins. All three have received targets in both of the first two games, and at this point there's no clear leader in terms of targets. Griffin leads with six followed by Thomas (five) and Akins (four). Thomas caught one of two targets for 27 yards in Sunday's 27-20 loss to the Patriots in Week 1. Thomas showcased his size advantage over defensive backs during Wednesday's practice, but the Texans regard the tight end as a development prospect, Aaron Wilson of the Houston Chronicle reports. Houston Texans tight end Jordan Thomas corrals high-ball for Texans' first touchdown. Houston Texans tight end Jordan Thomas pulls in a 7-yard touchdown catch on a pass from his quarterback Deshaun Watson. 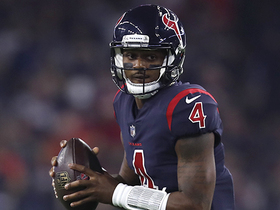 Houston Texans quarterback Deshaun Watson shows his patience before throwing a 2-yard touchdown pass to Houston Texans tight end Jordan Thomas against the Miami Dolphins for Week 8. 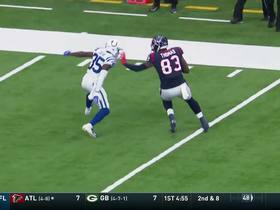 Houston Texans tight end Jordan Thomas reaches out to grab a 13-yard touchdown catch.